Get help from our dedicated account reps! And we can't wait to see what you'll put inside! Shop Now! We're sorry but this product is currently out of stock. 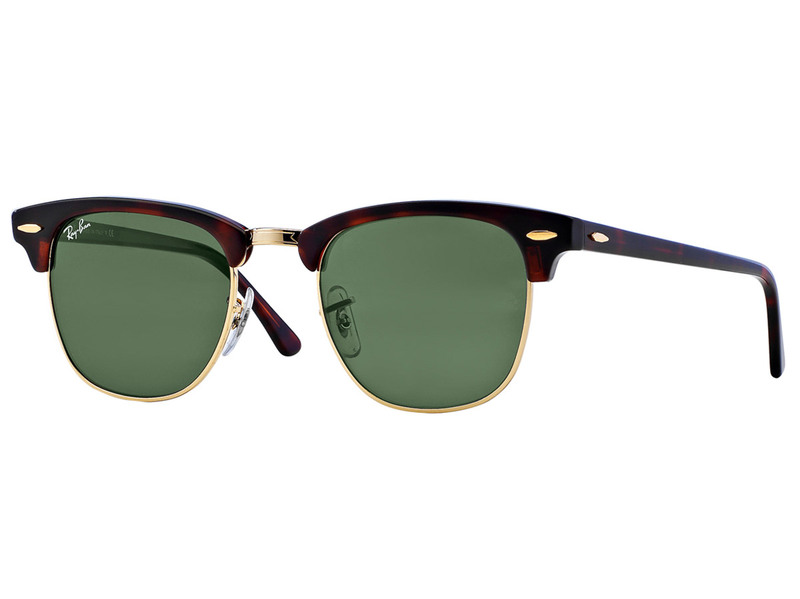 Ray-Ban Clubmaster Classic sunglasses are retro and timeless. Inspired by the 50’s, the unmistakable design of the Clubmaster Classic is worn by cultural intellectuals, those who lead the changed tomorrow. Choose the iconic Clubmaster Classic sunglasses design in black or brown frames with a crystal green lens treatment. While wearing Ray-Ban RB3016 Clubmaster Classic design, you’ll always make a statement. Receive FREE Shipping (US addresses) on all orders above $49.00. LensDirect.com offers multiple USPS and UPS Shipping (US addresses) on all orders. The services available will vary based on which service best serves your local area. * These shipping times only apply after verification of your prescription. It may take up to 8 business hours for us to verify your contact lens and/or eyeglass prescription with your eye doctor. Once verified, most orders get shipped out within 24 hours. To ensure you 100% satisfaction, we offer a 365 day return policy. You may return any unopened items in the original condition purchased from Lens Direct for a store credit or refund. Note: Glasses prescription are different from contact lens prescription. How do I read my prescription? I can't find the PD on my prescription. How do I measure my PD? 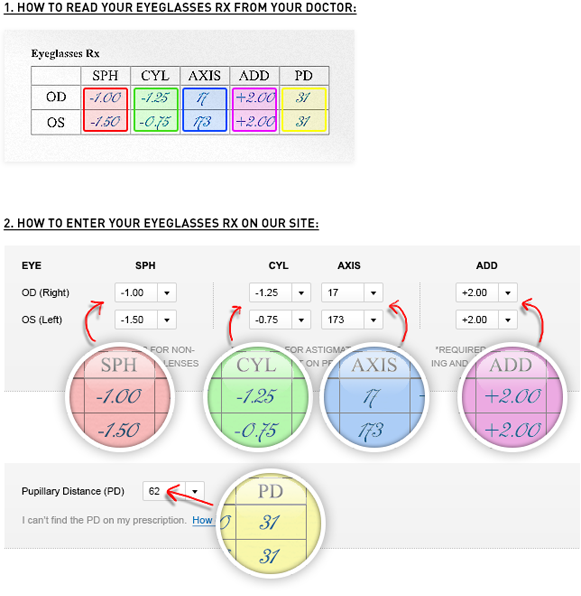 If your eyeglasses prescription does not indicate the PD measurement, you will need to measure it yourself since PD is a required measurement when making eyeglasses. 1Place a mm ruler up against your eyes, resting it on the bridge of your nose. 2Line up the starting point (0 mm) with your left (or right) pupil. This measurement is only accurate if you are looking straight ahead. 3Look at yourself in the mirror or have someone else read the ruler. If someone else is reading the ruler they must be at the same height as you. 4When the 0 mm mark on the ruler is lined up correctly on the left (or right) pupil the mark that lands in the center of the right (or left) pupil is your distance PD. 5Repeat these steps 2 or 3 times to make sure your results are accurate. Sign up and get exclusive promotions, special offers and more!